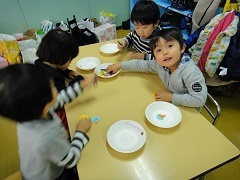 Today in Class 1, the children had lots of fun in preparation for Hyogen Festival. 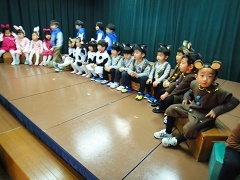 It was the children’s first time trying on their costumes for the English Play. They all looked so cute and cool. We had stage time in costume and everyone did very good singing, dancing, and speaking in English. After yummy lunch, we played games and danced in the classroom. The children are very excited for Hyogen Festival! 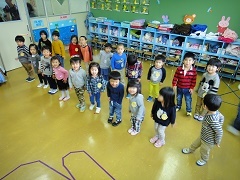 They look forward to showing their families their English Play and Music Performance.